Audi RS7 Spanks Ferrari 458 In A Race! IT'S A DEFINITE MUST SEE! Audi RS7 Spanks Ferrari 458 In A Race! IT’S A DEFINITE MUST SEE! When I think about a Ferrari, I imagine unbridled speed. So when I saw that a Ferrari 458 Italia was racing an Audi RS7 Performance, I immediately came to the conclusion that the Audi didn’t stand a chance. I’ve never been so wrong! 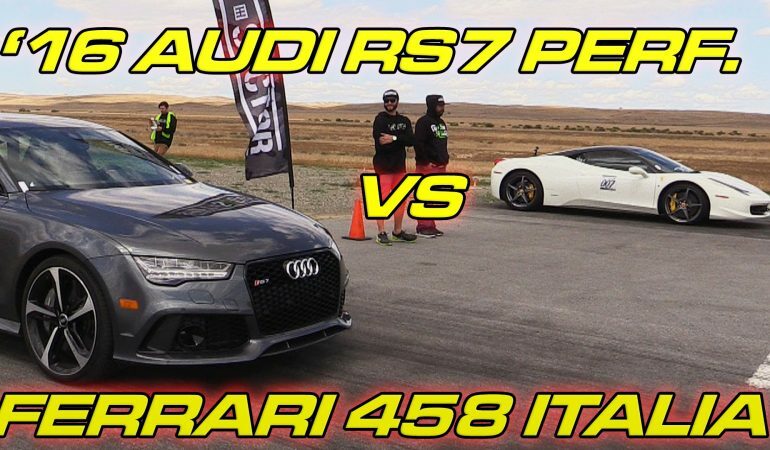 Not only did the Audi RS7 win, it completely dominated the Ferrari 458 Italia, it wasn’t even close! Just goes to show that things aren’t always what you imagine them to be, clearly! To see the Ferrari get spanked, click the video below. This Is The World’s Only Road-Legal Single-Seater Supercar!